The Children’s Ministry at Messiah delivers a Christian foundation to children from birth through grade five. These opportunities sow the seeds for Christian living as they present fun, yet educational experiences for children to also Gather, Grow, and Go in Christ! 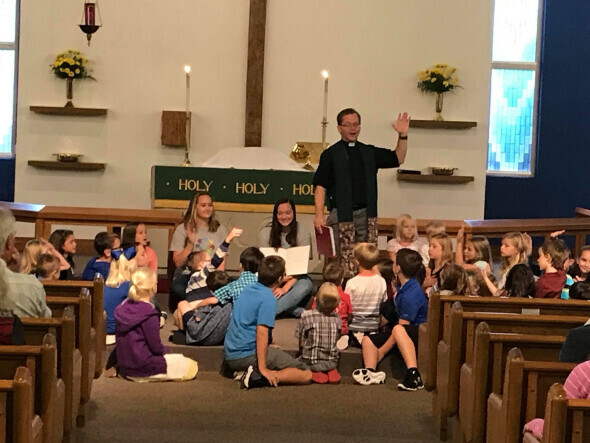 Bible lessons in small and large groups, plays, stories, and songs, along with friendly fellowship opportunities offer children at Messiah the basis for growing in their relationship with our Lord, Jesus Christ. Along with support of parents, children are led through a Bible-based curriculum, and experience a positive and active understanding of worship.